In A Matter Of Hours? That would sound too good to be true wouldn’t it? That is the Holy Grail for you and millions of others around the globe. Looking and feeling great, experiencing fabulous relationships, and earning what you are really worth. And you won’t have to start another diet, start your business from scratch or pull your hair out working 80-hour weeks to do it. 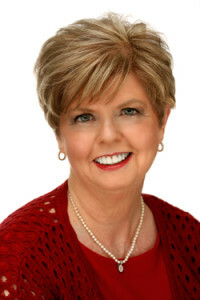 Hi, my name is Linda Allred. For years I was known as the Bad Habit Belief Breaker. 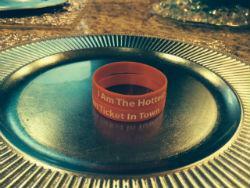 Today, experts, clients and even the big name gurus know me as the Hottest Ticket In Town. In the last 5+ years I have been at the lowest of lows and the highest of highs. I’ve lost my husband of 54 years and had my business all but come to a complete halt when my home/office flooded 5 feet in the Louisiana 2016 – 1,000 Year Flood. That one thing was my life’s work. The power to control the subconscious mind. The power of the subconscious mind is the most powerful force in the world and can either put you on a path towards greatness or hold you back from being the person that you were meant to be. 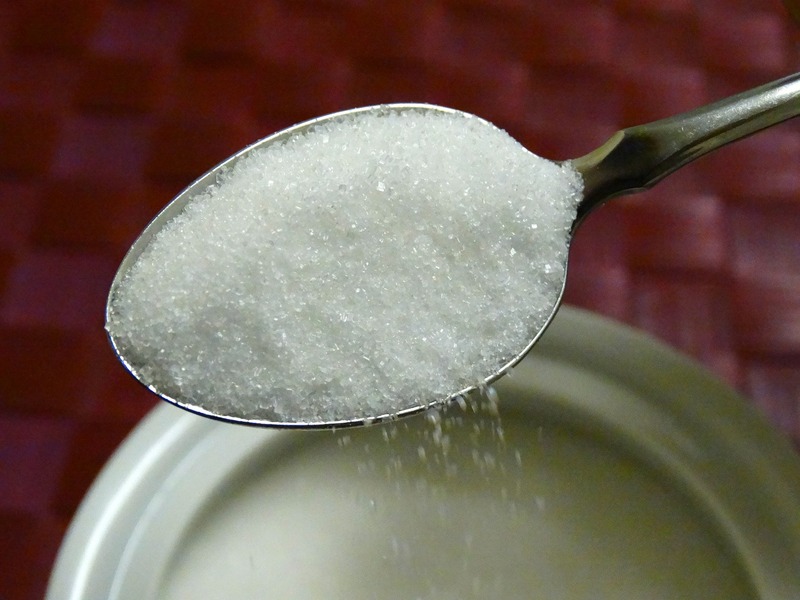 Your subconscious mind tells you what to eat. It tells you what phone calls to make and what deals to create in your business. Your subconscious mind opens up doors or creates insurmountable hurdles that you will never be able to overcome. Commanding control of your subconscious mind is the most powerful skill you can master. It is something I have been mastering for the past 26+ years, ever since I opened up my hypnosis clinic in Baton Rouge. Since that day, I’ve helped thousands of people to melt away unwanted pounds that were causing them major health issues. I’ve helped them to quit smoking when no patch or gum or therapy was making progress and I’ve helped entrepreneurs remove the boulders and log jams that were crippling their business and not allowing them to reach their peak income potential. The ACT™ Belief Sheets Life Categories (#1 – #4) below are based on the Accelerated Change Template (ACT™) Belief Change System, using the energy work of Kinesiology (Muscle Testing). Together we will discover what your “Kingpin” or Highest Priority Belief (HPB) is in these life categories. We will show you how to break up that “mental log jam” and show you how to get rid of those negative beliefs and replace them with healthy, affirmative ones so you can freely move on to create amazing health, happiness, and love in your life! Look at the list below and think about the areas where you want to change. Everything here can be drastically improved with this powerful work. Today, we want to invite you inside the Slim. Prosperous. Perfect. Inner Circle (SPPIC). We would like to welcome you into a community that is full of the top movers and shakers, who are doubling their business, dropping pounds, improving their health and relationships, and living stress free during the best years of their life. Twice a month, every month, you and the other esteemed members of The Slim. Prosperous. Perfect. Inner Circle (SPPIC) will jump on the phone for 60+ minutes to align one of the ACT Belief Sheets Life Categories above to remove the log jams and the limiting beliefs that have you stuck in your life. Imagine having Linda and/or one of her team of expert coaches in your pocket twice a month to coach you whenever a problem arises. All bimonthly calls are held on the second and fourth Thurdays of each month (unless we are traveling or it’s a holiday) at 5:00 p.m. PST – 6:00 p.m. MST – 7:00 p.m. CST – 8:00 p.m. EST. The calls are 60+ minutes. Have to miss a call? No worries! They are all recorded and housed in our Slim. Prosperous. Perfect. Inner Circle Online Forum for you to download and listen to in your car, on your iPhone or your computer. Good News. 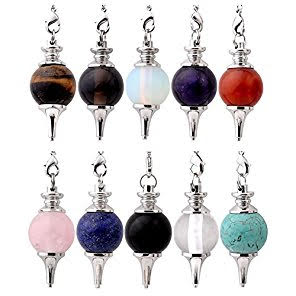 The phenomena of energy work is even if you miss a call you will still benefit as if you were on the call because (with your permission) we will tap into your energy. The SPPIC bimonthly calls give you the opportunity to continue practicing what you have learned…The Proven 5-Step Surefire System, which is designed to let go of your limiting beliefs that are holding you back and reprogram your subconscious mind. Then, we will personally coach you on any challenge you bring to the table along with an open Q&A session. Beginning with the first bimonthly call, you’ll receive one of the ACT Belief Sheets Life Categories that we will be aligning. You’ll need to print it out and then, you’ll join us for a 60 to 75 minute group ACT™ Alignment call where we will discover what limiting beliefs need to be changed and what is the Highest Priority Beliefs (HPB) that needs to be changed – that ‘Kingpin’ logjam we’ve been talking about. We will also have a coaching and a Q&A period within the time frame we’ve allotted for each call. Now we don’t want you to wait until our next session to get started. We want to help you right here, right now, today. To do so we want to help you overcome the one thing that hurts everyone, takes years away from their life and causes so much pain and frustration – STRESS! That is why, when you take a Risk Free Trial of the Slim. Prosperous. Perfect. 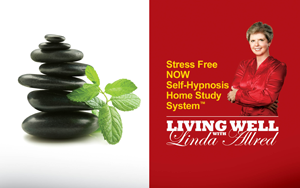 Inner Circle Club, we are going to give to you a digital copy of Linda’s Stress Free NOW! Self-Hypnosis Combo Pack™. The Stress Free NOW Self-Hypnosis Combo Pack™ gives you every skill you need to transform stress into an abundance of positive energy and action. See for yourself firsthand how Self-Hypnosis can knock the living daylights out of stress. Ultimate Weight Loss Solutions Seminar DVD – videoed before a “Live Audience” – 1½ hours showing how Self-Hypnosis works. Educational materials to assist you in permanently lowering your stress levels. This Stress Free NOW! Combo Pack sells for $97 on my website, but I am giving it to you free today when you take a trial offer of my Slim. Prosperous. Perfect. Inner Circle Club. This chapter will help you to get rid of the stress in your life, whether that stress is related to your business, to your health, to your relationships or something else that causes you to lose sleep, have a lack of focus and stop you from performing at the highest levels in your business and in your life. I hope you can see that we want to do everything in our power to help you to grow your business and live a healthy and high performing life. We have laid it all on the line for you. Because we know how powerful you can be, when you get out of your own way. It is because of this, we want to invite you to the Slim. Prosperous. Perfect. Inner Circle Club for the Charter Member Investment of only $197/month. 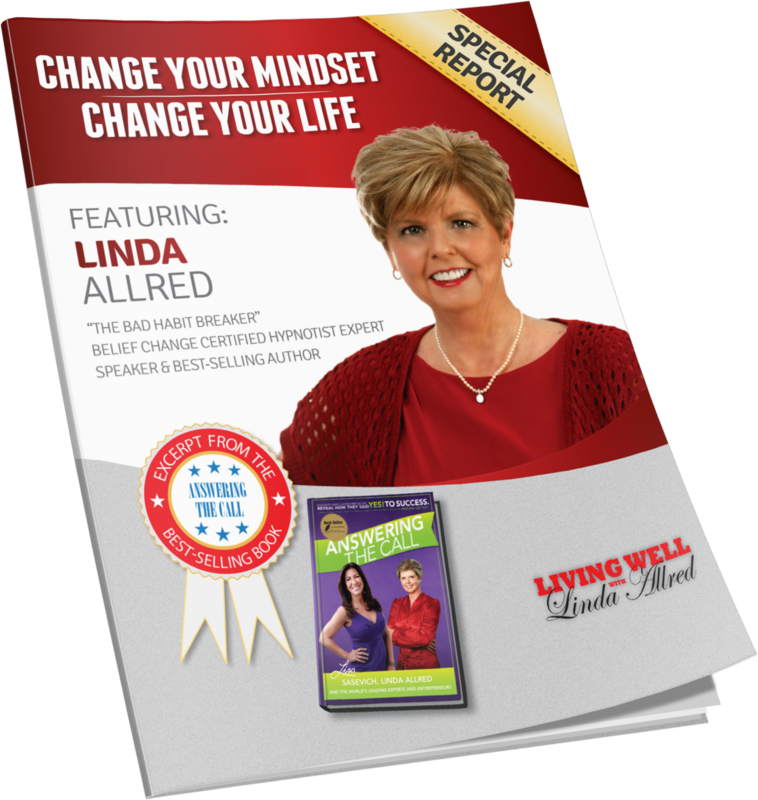 Join us today, download and go through Linda’s Stress Free NOW! training. 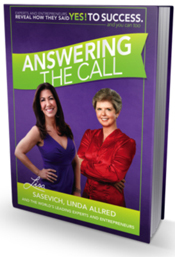 Read the chapter from Answering The Call. Join us on our next bimonthly coaching call. And if you feel that we cannot help you to double your revenue, drop a dress size, improve your health and relationships, end your smoking habit, and eliminate stress from your life, just let us know and you will never be charged again. We know, deep down, that you will be a member of the Slim. Prosperous. Perfect. Inner Circle for a very, very long time. Because we know what we teach works. It has worked for me when I was at the lowest of low moments in my life, and it is working now as I have transformed into the Hottest Ticket In Town, speaking all over the country and writing Best-Selling books. It has worked for my clients like Claudia Lane who lost 142 pounds after working with me. Or Shannon LeBlanc who increased her revenues, in 6 short months, 366% and, made more money in the first two months of 2015 that she made the previous year. It all starts with the decision you make right now. A decision to get off the hamster wheel. To get off the roller coaster and remove the beliefs and the subconscious mumble jumble that is stopping you from being the best you. The Slim. Prosperous. Perfect. Inner Circle will be the catalyst to get you on the road to living a better life, having a better business and feeling like a million bucks each and every single morning. Please click the button below to get started and join the Slim. Prosperous. Perfect. Inner Circle. Join the club for only $197 per month. Cancel anytime (30 day notice required). We are looking forward to welcoming you to our group and talking to you on our next call.